Mantor Aviation Company is a small, family run business. Our mission is to provide the commercial aircraft parts aftermarket with high quality parts at competitive prices and to deliver unparalleled customer service. Nick Mantor, owner and President, has over 30 years of aviation experience. He also has an FAA Airframe and Powerplant license along with a Bachelor of Arts Degree in Business and 15 years of experience with a major airline. 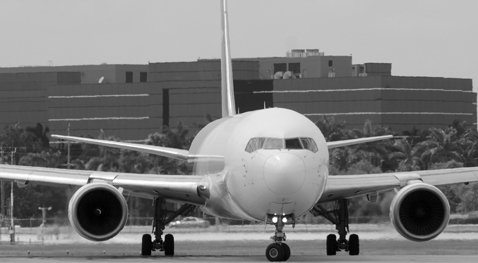 Nick has a broad knowledge of commercial aircraft, aircraft systems, and aircraft components. Karin Mantor, CFO, has over 7 years of experience in the aircraft aftermarket business and a Bachelor of Science Degree in Finance. Karin's background is in the auto industry where she learned marketing, sales, and customer service after spending 11 years working for a major automotive fleet leasing business. We handle structural pneumatics, hydraulics, oxygen, windows, valves, pumps, and more. We can also help you with wheels & brakes, axles, actuators, pins, cylinders, links and all gear components. Whether Navigation, communications, displays, instruments, FMS/GPS, we have experience that helps. Disks, blades, vanes, seals, segments, nozzles, cases, shafts, or QEC, Call us for your requirements.